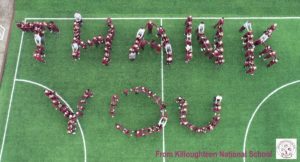 On Saturday next Analog Devices have organised a fundraising cycle in aid of Killoughteen NS ASD Unit. We are very appreciative of this support for our school pupils. We hope that many people will be able to come on Saturday and enjoy the cycle. 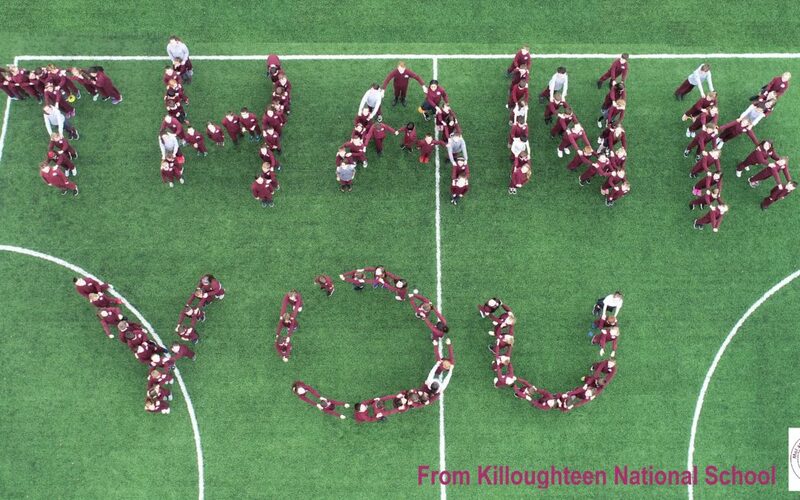 Today we organised a photo with our pupils to thank everyone in anticipation of their support. Please see attached a link to register for the cycle and our photo thanking Analog Devices and all cyclists in anticipation of their support. Many thanks to Ben O Sullivan Video for taking this picture!